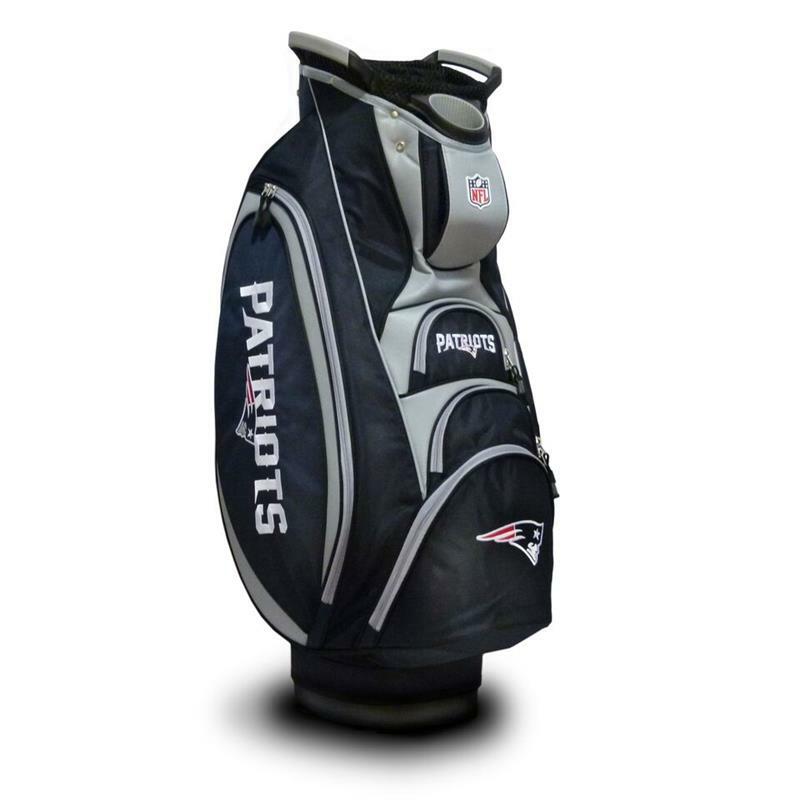 Hit the links like only a true sports fanatic can with a New England Patriots Victory Cart Golf Bag by Team Golf®, the largest supplier of officially licensed team logo golf accessories in the country! This New England Patriots Victory Cart Golf Bag is rich with features, including an integrated dual handle top, 6 location embroidery, 5 zippered pockets, reinforced large external putter well, padded strap with strap pouch, fleece-lined valuables pouch, cooler pocket, removable rain hood, umbrella holder, and towel ring. Made of durable 1800 denier nylon and buffalo vinyl. Time to load up the clubs and show some team passion on the course!